SINGER-SONGWRITERS OF ANY NATIONALITY, 16 YEARS AND UP, SHOWCASING THEIR OWN SONGS (PUBLISHED OR UNPUBLISHED). Wouldn’t you like to find yourself of a great stage with all eyes and lights on you and your music? If you are a singer-songwriter and you want to show off your ideas and your musical soul, the ‘singer-songwriter’ category is the one for you! Feel free to showcase your lyrics and your music in whichever genre you prefer. Participating in tour music fest is not just a simple audition, but taking part in an immersive music experience. We believe personal and artistic growth are at the basis of everything. From the interview with the judging panel, to the music camps and the evaluation report; It is one of the first goals and fundamental contributions that Tour Music Fest sets for their artists. Our goal is to make the experience as useful as possible starting from the basis of solid organization. Dedicated assistance, reduced waits, friendly and available staff, and a professional and humane judging panel are just some aspects that make Tour Music Fest a positive and constructive experience. Fantastic prizes including a sponsorship contract worth €10000, a digital distribution contract with Sony Music and much more. Participating in Tour Music Fest means being in contact with singer-songwriters from all over Europe that share your same passion. A way to engage in musical collaborations and meet people that speak (and most of all sing) the same language! Our team is always proactive, in particular in favour of Artistic growth. An artist needs to feel at ease to be able to give his best and we would like to encourage artists to be different and express one's uniqueness to the world. Tour Music Fest artists are followed all year round by the media (press, radio, tv and web) grabbing the attention of music industry professionals. Right from the first round of auditions through to the final steps: the biggest event dedicated to unsigned and emerging music, a magnificent show where all major record labels are right up front. 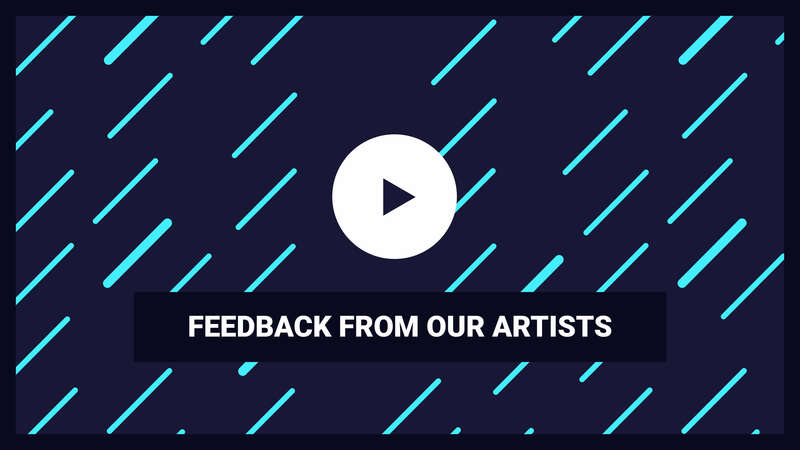 A live concert in contact with artists from all over Europe judged by a panel of music industry professionals. It’s very important that our prizes are truly useful for the career of unsigned artists. Funds for producing music, along with visibility and promotion on a European level, are fundamental elements for an emerging artist. Two full-tuition Summer Program scholarships for the 2019 TMF competition award winners to attend the 2019 Berklee Summer program. An important budget for your music career: Learn, produce, distribute and promote your music! Recording, post production by Abbey Road Studios in London and distribution by Sony Music Italy! Bring your music around the globe and showcase to a new audience!